This tutorial has been deprecated and replaced by a newer version. 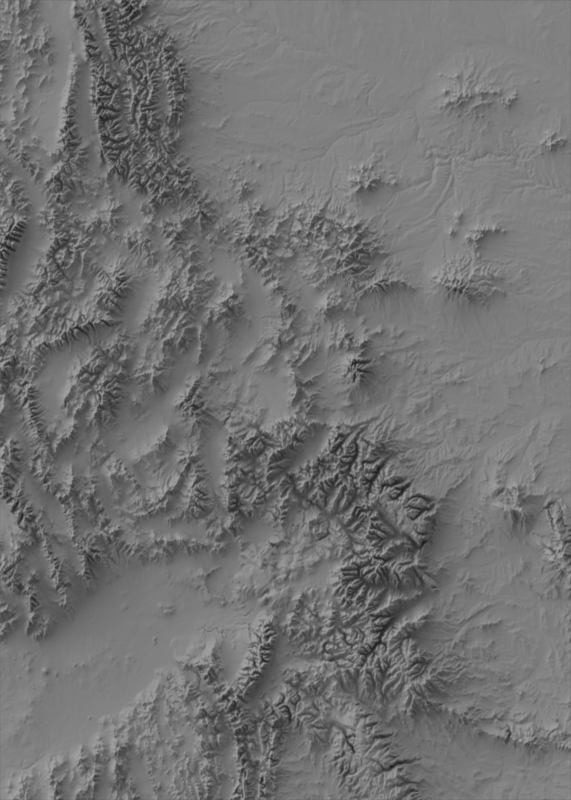 As promised several months ago, I’ve finally put together some instructions on how to create shaded relief using Blender. I’ve created a 72-minute, six-part video series that walks you through the process (don’t worry; it doesn’t take that long to do it every time, just your first time). Please share it around! I’d love to see other people making use of this technique, and extending it beyond what I’ve done. NOTE 1: This video series picks up with the assumption that you have a DEM ready to go. If you need help first getting your DEM ready, you should follow this tutorial by Katie Kowalsky. NOTE 2: Since I put together this video series, some of my colleagues have made some great contributions that you should be aware of. First off, Ryan Lash (@RRLash) has put together an awesome step-by-step explanation of everything that goes on in the videos, so that you don’t have to hunt around to find the step you missed: https://docs.google.com/spreadsheets/d/11HHMdKawdbXNkkxWdW82-HgHE2k3Tojg7P_X75ojb50/edit#gid=0. Second, check out the comments below. Morgan Hite has been using BlenderGIS to ease some of the issues with Blender not handling spatial data natively, and he’s put together a description of his basic workflow. I’m very happy that people are using and, more importantly, extending the material I’ve put together her.